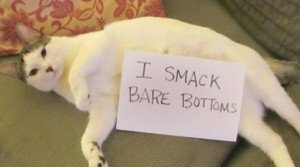 Here are 10 cats whose owners posted funny cat pictures of their animals and listed their foul deeds. 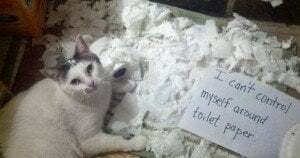 What is your cat guilty of? 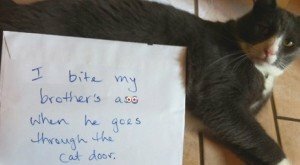 How many of these things has your cat done? 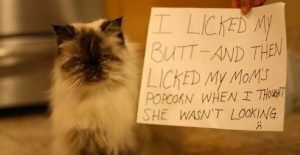 Cats do a lot of things they shouldn’t, but sometimes they do something so outrageous that whole world needs to know.